Rough.js is a light weight (9kB) graphics library that lets you draw in a sketchy, hand-drawn-like, style. Colormind is a color scheme generator that uses deep learning. It can learn color styles from photographs, movies, and popular art. 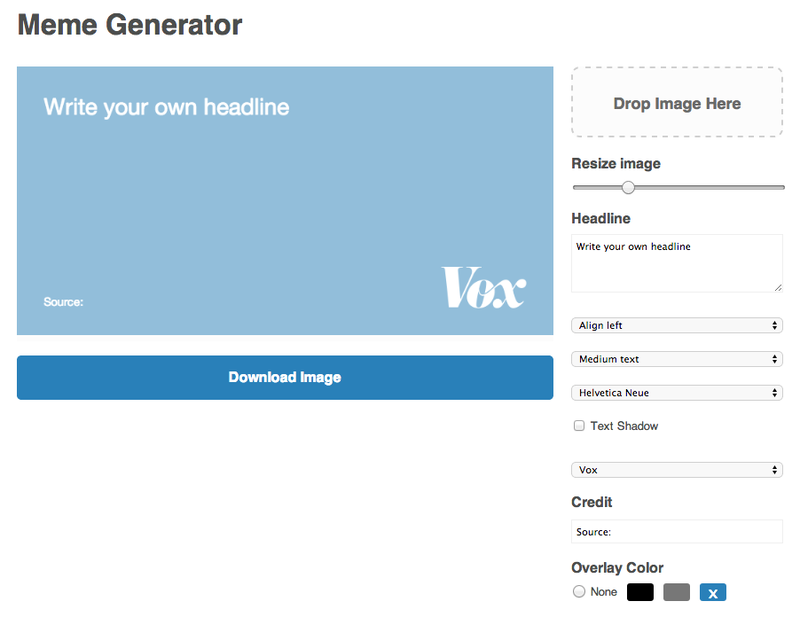 Meme is a generator that Vox Media uses to create social sharing images. See working version at http://www.sbnation.com/a/meme. https://github.com/codeworm96/dy-weekly-generator/pull/3 weekly generator 0.2.0 is ready for reviews! MXBoard provides a set of APIs for logging MXNet data for visualization in TensorBoard. The idea of this project comes from discussions with Zihao Zheng, the author of dmlc/tensorboard, on delivering a visualization solution for MXNet users. We aim at providing the logging APIs that can process MXNet data efficiently and supporting most of the data types for visualization in the TensorBoard GUI. ― You are receiving this because you were mentioned. Reply to this email directly, view it on GitHubhttps://github.com/dyweb/weekly/issues/22#issuecomment-385317945, or mute the threadhttps://github.com/notifications/unsubscribe-auth/AE8D7l6pbKLKfI_SoPIFsq-yC5bKWfelks5ttqa_gaJpZM4TfzO-.